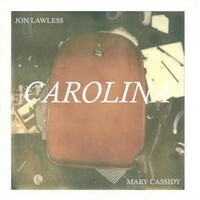 Sonic More Music: Jon Lawless and Mary Cassidy "Carolina"
Have you heard the new single from Jon Lawless (from First Rate People) and Mary Cassidy? It's called "Carolina"? and it's fine, really fine. They take a folk/pop route with the track and it works all the way down to your toes….check it out below.